#waterprotectors | Gramma's Corner "Nama"
As the rise of the 7th generation was being pushed off the land at Standing Rock. Leadhorse and Neddie were still in ceremony at the ceremonial grounds . Leadhorse was pepper sprayed,handcuffed and forced by the BIA into a vehicle. D. Regers from WRUV FM 90.1 FM in Burlington,Vermont interviewed “John Doe” (Leadhorse ) and Neddie. Who were providing a spiritual ceremony of healing . 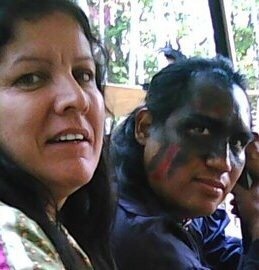 Leadhorse and Neddie travel the US and South America sharing knowledge of the stars , moon , sun and the earth. Offer healing ceremonies such as greiven and trauma to release back to the creation in a good way . If you would like to help with their journeys please donate here . They are always in need of gas and help with repairs on their vehicle along the way.To directly support their work please donate to Kellies paypal. Please feel free to verify that I am helping Leadhorse and Neddie. You can contact me on Facebook . In this PODCAST documentary of the events that took place on his kidnapping from the ceremonial grounds pepper sprayed and handcuffed. The arrests of the Rise of the 7th Generation was the last to be taken from their lands. 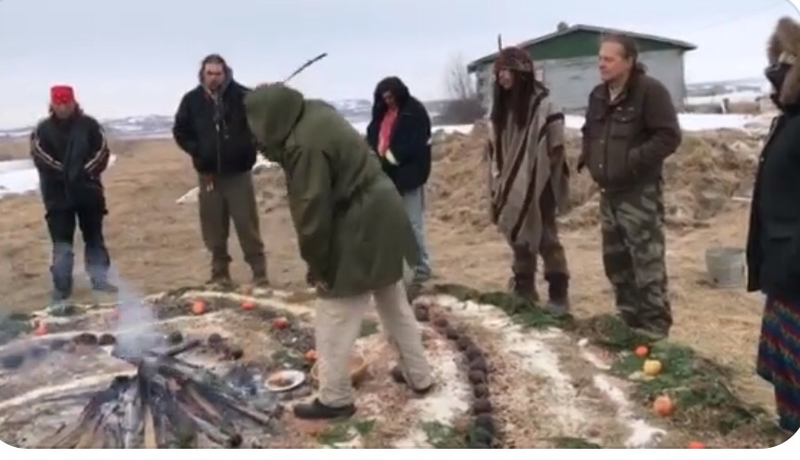 On March 1st Spiritual leader Leadhorse Choctaw was in ceremony at the ceremonial grounds near Standing Rock Video of the last ceremony . Bankers across the globe get hit hard for investing in DAPL. The same week as the City Council of Santa Monica, CA. voted to divest from Wells Fargo with a 2.5 billion dollar impact following the 3.0 billion bite from the city of Seattle, WA approving to divest from Wells Fargo the second week in February 2017 against DAPL. CalPERS a California Retirement system with a staggering 6.5 Billion dollar investments has shareholders and investors in 16 or the 17 banks backing DAPL has written a formal request to the banks on rerouting the DAPL pipeline to avoid the treaty territory. With over 100 investors signatures from across the U.S representing 653 billion dollars in assets on six page of the PDF formal request published on February 17th, 2017. Sacred Stone Camp has been surrounded this last week with militarized police, National guard and DAPL security within yards of the camp.The tension mounts at Oceti Skewing camp with barricades being installed in multiple places on the road and check points, the clean up, and an eviction notice handed to water protectors on Wednesday February 15,2017 video from Digital Smoke Signals . Wisconsin’s hillsides with “frac sand” is used to prop open fissures in the earth which creates an escape route for natural gas. A single well can require 2,000 tons of sand over its lifetime. Please Check out my Fairy Garden Page. I make custom made Fairy Gardens!